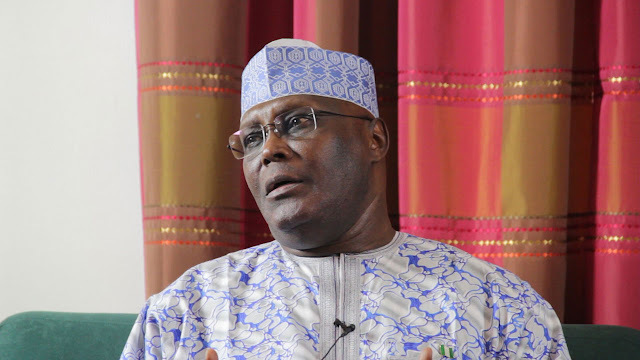 Former Vice President Atiku Abubakar has revealed he has not made up his mind yet on contesting for the 2019 presidential election. The Adamawa native had recently made a high profile return to the People's Democratic Party (PDP) after resigning from the All Progressives' Congress (APC) with expectations high that he'll run against President Muhammadu Buhari in 2019. However, while speaking during an interview with the Hausa service of the Voice of America (VOA) on Tuesday, December 19, 2017, he said his mind is not currently made up about it. "For now I have not made up my mind. When I decide, I will let the world know," he said. In reaction to the comments, Atiku's spokesperson, Paul Ibe, said his fans should not be discouraged by his utterance. He said, "He spoke in the context of his ongoing consultations, but he'll eventually make up his mind to run. Those who have started politicking on his behalf should continue." In what was a widely-expected move, Atiku resigned as a member of the All Progressives' Congress (APC) on November 24, after months of growing discontent. In his signed resignation letter, the 71-year-old accused President Buhari of neglecting him and condemned the APC for "instituting a regime of a draconian clampdown on all forms of democracy". In a live Facebook broadcast on December 3, the former Vice President officially declared his return to the PDP. In an interview with Dele Momodu, the Publisher of The Boss magazine, Atiku noted that Buhari has wasted his massive goodwill, adding that he will defeat the president in 2019. After serving as Vice President to former President Olusegun Obasanjo between 1999 to 2007 under the PDP, Atiku contested the 2007 presidential election as a candidate for Action Congress (AC), losing to the late former President Umaru Yar'Adua. He returned to the PDP only to lose the party's primary election for the 2011 presidential election to the eventual winner, Goodluck Jonathan. 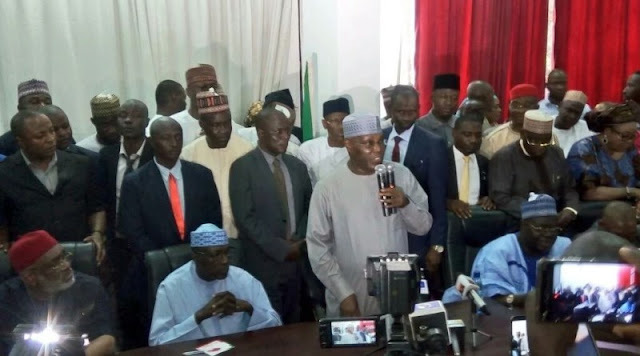 Due to an internal party crisis he defected to the APC in the run-up to the 2015 presidential election before losing the party's ticket to another eventual winner, President Buhari.